While most suckers shell out hard-earned money for a chance to sweat it out at the gym, personal trainers actually get paid to be there. They must be doing something right. Like any professional, they keep some secrets of the trade to themselves... most of the time. Fortunately, there are trainers out there willing to spill their confidential gym hacks, which you can use to feel like a seasoned vet the next time you work out. Taking a rest between movements is fundamental to exercise, but practicing active rest allows you to squeeze every last bit of effort out of your workout. Ramon Acosta, Jr., trainer at New York City's ConBody, has a rule during his 60-minute sessions: always be moving. If students are caught stationary, they must pay the price of 10 burpees. Of course, Acosta doesn't expect clients to be pumping out push-ups or HIIT intervals during active rest. A simple salsa step or walking in place will do. Louis Coraggio, an NYC-based trainer and founder of trampoLEAN, prefers apps that take basic stopwatch functionality to a higher level -- like Interval Timer, which makes it easy to set Tabata and strength intervals. "Each interval has a work and rest timer," Coraggio says. "It keeps my workouts focused and easily times out of my exercises." Keep a pair of shorts -- or the least bulky gym gear you own -- in your bag at all times, says Amy Jordan, founder of WundaBar Pilates. That also goes for socks, snacks like energy bars, and sneakers. Having gear on you every day will help motivate you to hit the gym, even if it’s just for a quick workout. "If I’ve got gear with me, there's no excuse not to get [my] sweat on, even if it's just for 20 minutes," Jordan says. Most gyms have their cardio machines pre-set to stay on for just 30 to 60 minutes to ensure they free up for others during peak hours. But if you're training for an endurance race or simply need to get a long run in, having the machine turn off can be devastating, both physically and mentally, says Tom Holland, Bowflex fitness advisor. "Know that you can find the codes to override the time limit for each machine by doing a little research on Google," Holland says. "If you do extend the time, just make sure there aren't people waiting!" 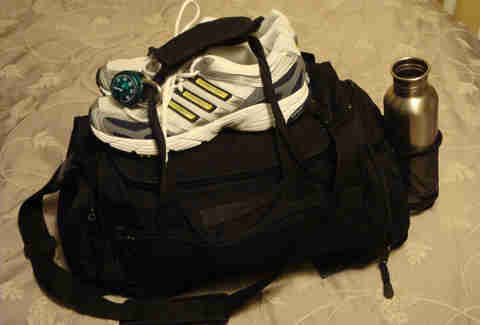 Carrying your smelly shoes in your bag after a workout can wreak havoc on everything inside. SWERVE Fitness instructor Jenna Arndt recommends packing deodorizing shoe balls for storing your sneakers. 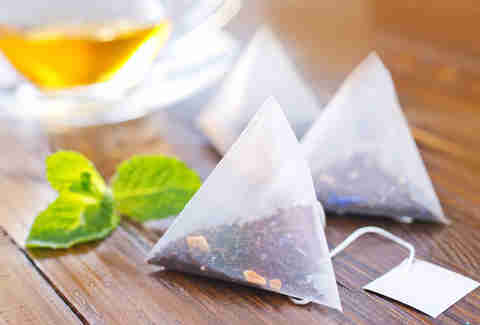 Or, if you want a DIY option, place tea bags in your shoes: "[Tea bags] will absorb the moisture, and smell nice." Who knew? Foam rolling is a great form of myofascial release, but there’s a lot of confusion and conflicting arguments in the fitness industry about whether it’s most beneficial to foam roll before or after a workout. That's why Maurice Christovale, personal trainer with Find Your Trainer, recommends foam rolling before and after a workout to improve mobility. Be warned that foam rolling can be painful (in that hurts-so-good type of way). "If 10 minutes of me saying 'dammit' and 'ouch' is going to add efficiency to my movements, I’ll take it." 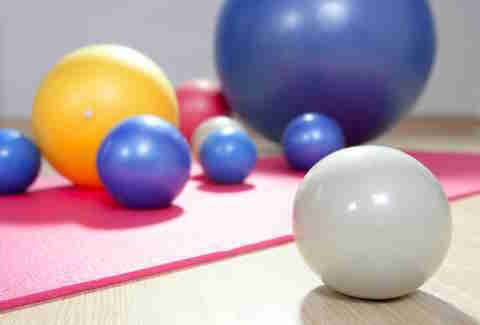 If you're working out at home with limited space, consider buying a stability ball, Holland advises. It’s an inexpensive, yet extremely versatile and functional piece of equipment. "You can use it to work your entire body, from head to toe, and it can also take the place of a heavy, expensive bench for exercises like dumbbell chest flys," Holland says. "You can also use it as a chair to work your core all day long while sitting around your house, or at the office." There's only so much time in the day -- and, again, those of us who aren’t personal trainers don't get paid to be there. That's why Jacob Boly, certified personal trainer for The Vitamin Shoppe, recommends maximizing your time with antagonistic training, a form of training that focuses on hitting opposite muscle groups in one set. That means two exercises -- like a bench press paired with a row -- make a full set. "As long as you take consistent rests in between sets, this training method works because you're not overly fatiguing one muscle group, since you're working opposite muscles," Boly says. "Also, you're saving time by incorporating the same amount of volume with less waiting around in between." "For cycling, I sort things by beats per minute and tempo for hills, jogs, and flats -- this separation can translate into different types of workouts you do on your own," Arndt says. "Find your running pace and then create a playlist from there. If you're doing reps of something, choosing songs with a steady BPM can help you time and power through your sets." Arndt also recommends making your playlists the duration of how long you want your workout to be. That way, it acts as a timer, and you won’t have to constantly stare at the clock. Erin Kelly is a writer, runner, and triathlete living in New York City. Her favorite workout advice is to score a spot in the back row during group fitness classes to avoid one-on-one contact with personal trainers. Follow her on Twitter at @erinkellysays.